Organizing your home doesn’t mean that your home will be a designer type of atmosphere. It’s just a home that is structured and operated in a smooth way. Using great organization, you can find what you need when you need it. It isn’t about spending a fortune, but about making creative storage choices. 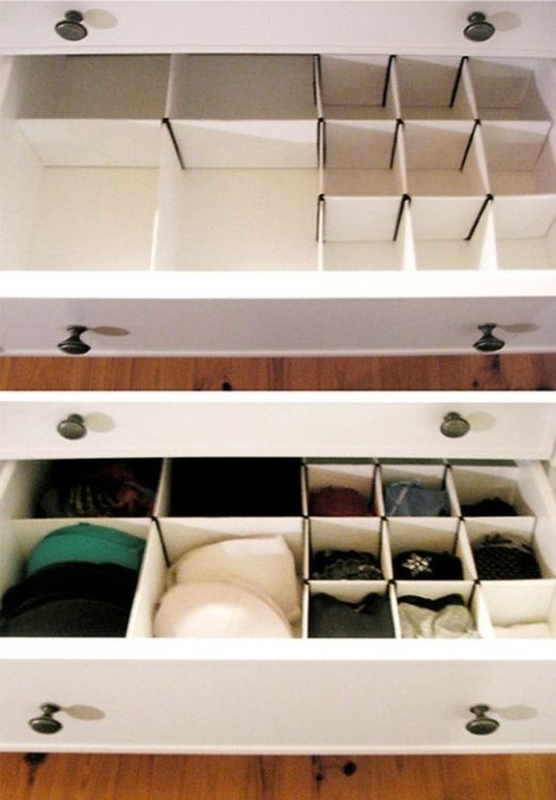 These awesome ideas will help you organize your home without a large investment. By using the things you already have on hand, you can get started right away. Keep your linen closet nice and neat while making bed changes a breeze with this creative organization idea. 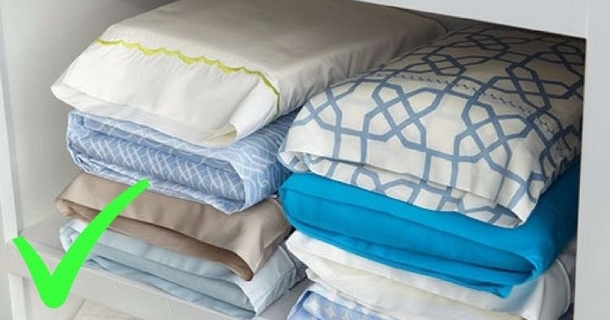 Place the top sheet, bottom sheet, and extra pillowcases inside a pillowcase. This keeps the set all together in your linen closet. 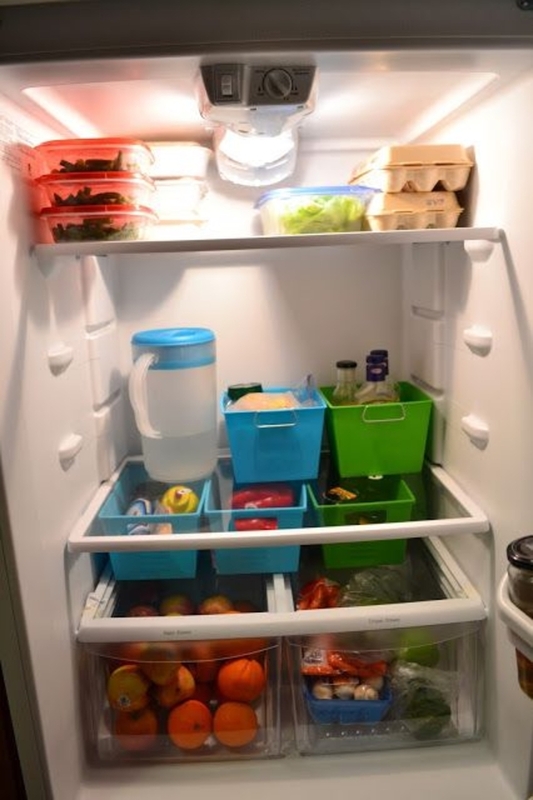 Keeping your refrigerator neatly organized doesn’t require a trip to The Container Store. If you don’t already have a few extra plastic bins hanging around, you can easily and cheaply purchase a few at a dollar store. Organizing your fridge helps you see what you have and reduce food waste. Gift wrap is one of those things that you always need to store somewhere, but can never figure out where. A back of the door shoe organizer offers a great storage solution for you wrapping paper, bows, and gift wrap accessories. 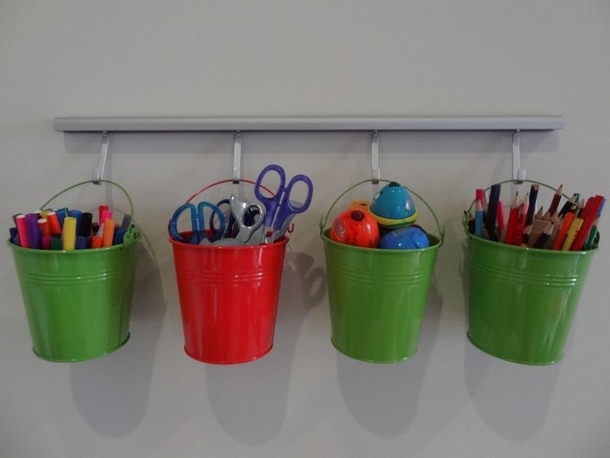 Small metal buckets can be easily hung from a coat rack to store all sorts of craft and art supplies. You can hang them anywhere you need to easily reach the stored items. If you want to take your project on the go, just grab the bucket and off you go! 5. Recycle tin cans into beautiful storage (h/t The Spruce) Tin cans come in all sizes and usually end up in the trash or recycling bin. Reuse them by covering them with colorful scrapbook paper. 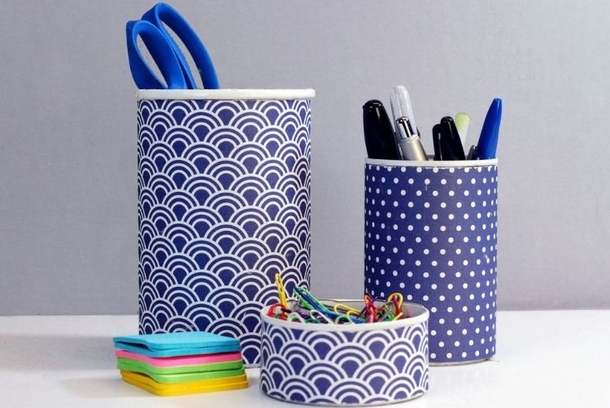 You can easily customize the cans to create customized office accessories that match your decor perfectly. Tank tops and camisoles take up a lot of room in your drawers and closet. 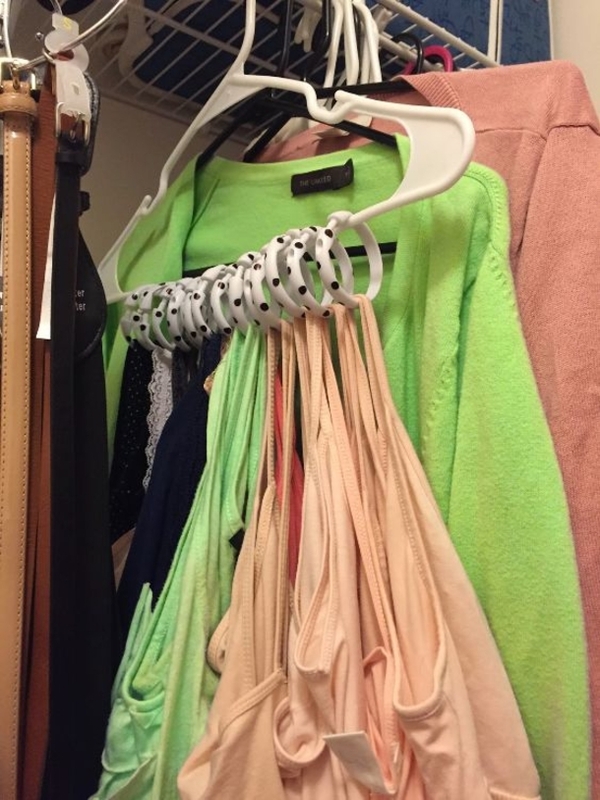 Shower rings are the solution to convenient tank top organization. Use each ring to hold a tank to a hanger.You can easily hang a dozen tanks on one hanger. Cookware takes up a lot of room within your kitchen cabinets. 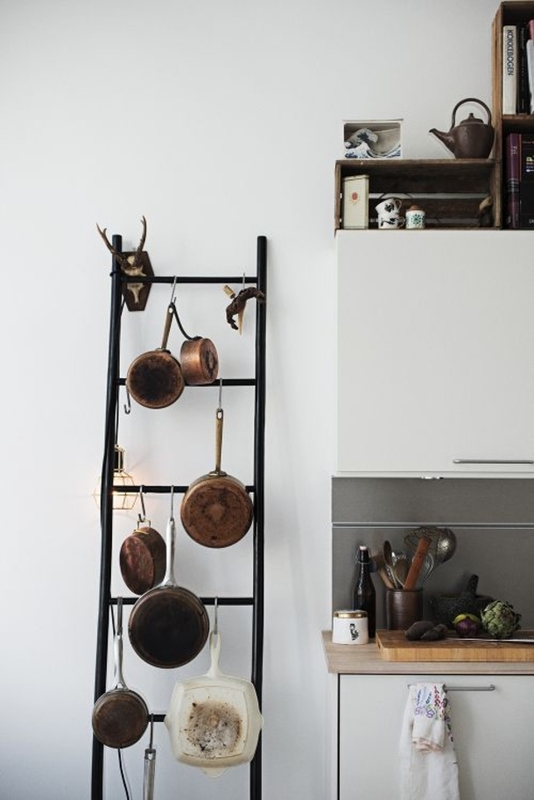 Use a ladder and s-hooks to hang up your pots and pans. You can easily grab the pan you need and get to work without shuffling through your cabinets. You can design your own drawer organizers for clothing, office supplies, and even kitchen utensils using stiff cardboard left over from boxes or craft projects. A sharp utility knife and exact measurements are essential to getting the perfect fit. 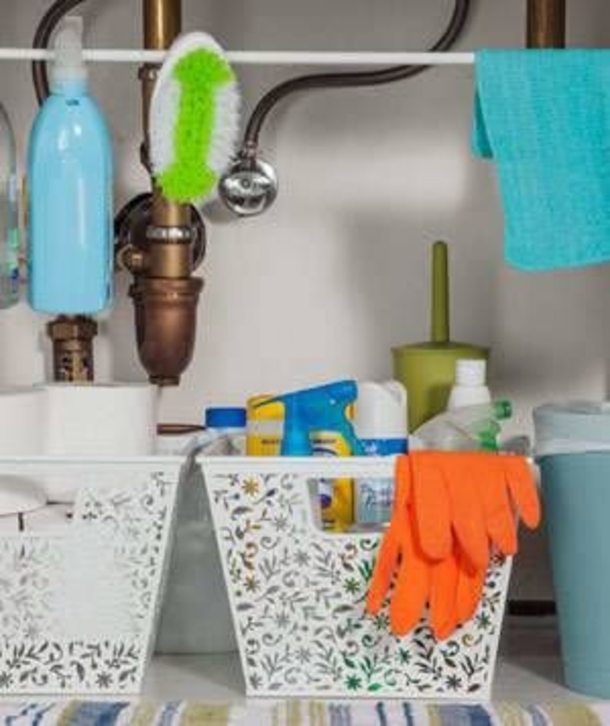 Use that awkward space under you kitchen and bathroom sinks to store cleaning sprays and supplies. A tension rod is easily installed and does not damage your cabinets. Simply hang your sprays over the rod.